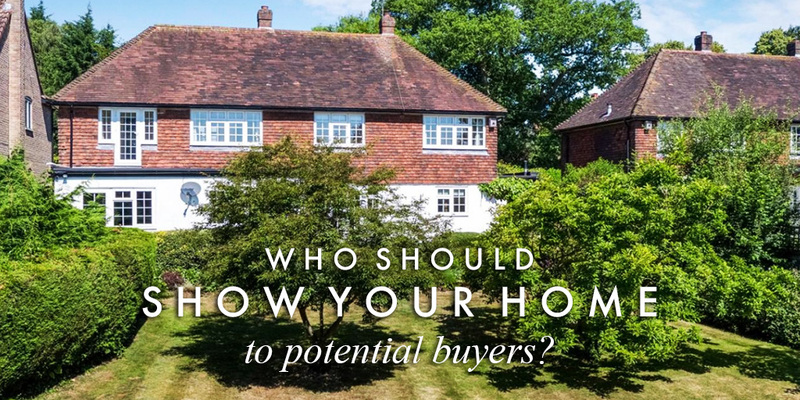 The questions of who is the right person to show potential buyers around a property and whether or not the owners should be at home during viewing appointments are eternal and likely to remain with us forever. Should you do your own viewings? Should you leave them entirely to your estate agent? Is there a middle way? There are some owners who would prefer to show people around their own home, and others who wish never to meet their buyer. Wherever you are on the spectrum, we hope our advice sheds some light. Who's best at viewings - owner or agent? While there is no question an owner will know their home better than anyone else, that doesn’t mean they are automatically the right person to sell it. There is a very big difference between giving friends and family “the tour” and showing around potential buyers. When people register with us, we talk to them about what they are looking for and why they are looking for it, and we take them to properties that suit their requirements. As we view more homes with them, the picture gets clearer and clearer about what is catching their eye, what doesn’t work, and which other properties might suit them better. We build a history to help us speak to people’s hopes and concerns when taking them out for viewings. The owner of a property will have none of that relationship, so all they can really do is walk people around, point out the rooms and answer questions. They’re not armed with seeing each viewer beforehand and finding out what makes them tick, and those nuggets of knowledge can make a huge difference in both getting people to less obvious properties, and in how they are shown around. It’s also a fact of British life that we like to find social situations in which to feel mildly awkward, unforthcoming and overly polite. Perhaps our biggest area of national success is the homeowner-hosted property viewing, where potential buyers make enthusiastic noises in every room, only to never make contact ever again! This leaves owners somewhat bereft and completely in the dark about what people didn’t like. Politeness is a wonderful quality, but useless when it comes to useful feedback on someone’s home. Conversely, buyers have no problem with letting rip to estate agents about anything they hated, or thought was overpriced, or in the wrong location, which is far more useful to everyone. Should the owner even be at home? We’d say no, at least for any potential buyer’s first viewing. If you are going to be at home, people will either gravitate towards you – making your agent somewhat redundant and giving rise to the problems above – or they will feel uncomfortable about intruding and spend less time at your property than they otherwise might. These things do happen. When using an estate agent to sell your property, our recommendation is to first make sure you are comfortable with and confident enough in their abilities, and then to leave them to conduct tours around your home. Whenever we are asked to sell a property, we arrange for the sales team to visit, meet the owners and go through all the things they love about their home, any idiosyncrasies, and anything that might be an unseen benefit. This means buyers get a really detailed and accurate presentation, and owners can be confident in our knowledge and feel comfortable leaving us to it. However, if it’s absolutely essential for you be at home at the time of a viewing, find a distracting activity that keeps you out of the way. Children are wonderful for this; working at your desk is a good one; cooking and gardening also work well and look like a genuine use of your time. When the agent arrives with the viewers, offer a warm hello to your visitors, tell them they can spend as much time as they like looking at your property, and that you’re busy with the kids, writing your next masterpiece or involved in complicated recipe preparations. Then leave the scene and make busy. DO NOT FOLLOW EVERYONE AROUND! It’s at this stage where people might ask about your experience of living in your home, how you do the school run, whether Tring station is better than Berkhamsted for getting a seat on the train, where your favourite place for a cappuccino is, etc. These experiential questions – rather than simply what your home looks like and what it’s made up of – are where unexpected and completely spontaneous sometimes questions arise. So in short, stay out of the picture in the first instance; be available for second viewings if a buyer requests; and find plenty to keep you busy if you simply must be at home during a viewing.